Upon confirming forensic tests, French authorities have announced that Adbdelhamid Abaaoud, the alleged chief coordinator of Friday's Paris attacks, has been killed in a police raid just outside the Parisian suburb of Saint-Denis. 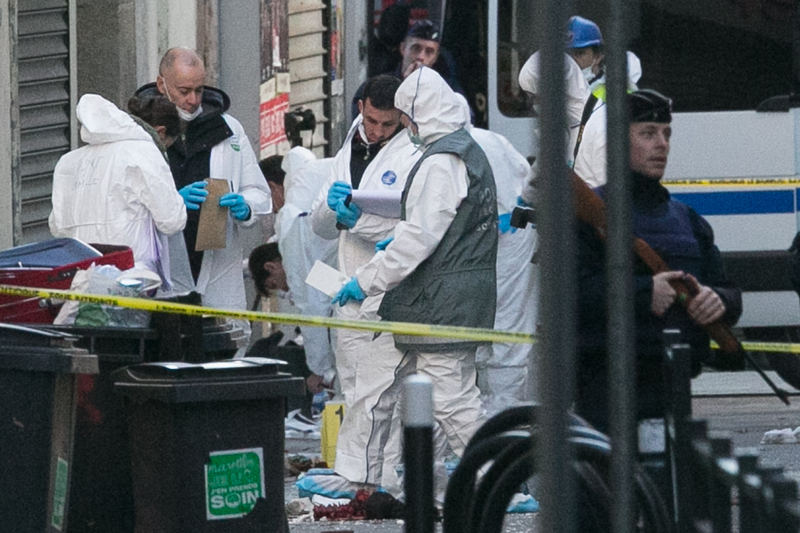 The progress comes less than a week after the attacks, but French authorities are still investigating the identities of two remaining terrorists at large, and questioning eight additional people taken into custody during the raid. Updates on Abaaoud’s history reveal that the Moroccan-born Belgian passed back and forth between Syria and Europe multiple times — without being detected by authorities — while planning the attacks. According to The New York Times, Abaaoud grew up in a relatively well-off family that was accepting of other religions and cultures. They had sent him to an exclusive private Catholic secondary school in Brussels, from which he dropped out after just a year. Following this, he befriended Ibrahim and Salah Abdeslam, with whom he carried out trivial crimes, and who he joined in prison in 2010. All three, who may have considered the Islamic State while in prison, are now accused of carrying out the terrorist attacks in Paris. Salah has yet to be located. Abaaoud’s family notified state prosecutors in Belgium that his son was dangerous after Abdelhamid recruited his 13-year-old younger brother, who flew to Syria undetected. This past January, Abaaoud’s father expressed his intense disapproval of his son's trajectory to the Belgian paper La Libre. I have shame for my son Abdelhamid … Why in the name of God would he want to kill innocent Belgians? Our family owes everything to this country. Of course, it is not joyous to make blood flow. But from time to time, it is pleasant to see the blood of disbelievers. The New York Times reports that Abaaoud’s intention to spread ISIS’ mission to the West was inspired by prominent Islamic State leader Abu Muhammad al-Adnani, who left a voice message for Abaaoud instilling a fixation on France in particular. If you can kill a disbelieving American or European, especially the spiteful and filthy French, then rely on Allah and kill him in any manner or way, however it may be. All this proves that a Muslim should not fear the bloated image of the crusader intelligence ... My name and picture were all over the news, yet I was able to stay in their homeland, plan operations against them, and leave safely when doing so became necessary. Paradoxically, the young activists operate in a more Western way. They are second and third generations of families which arrived in France from Algeria or Morocco. Their parents left behind them a Muslim country, and began integrating into the French secular society. But they are looking for an identity. This is what leads them to Islamic State hands. Still, they grew up in France, and they think differently than youngsters from North Africa. It seems as though authorities and politicians around the world are fixating on Syrian refugees, when it may be more beneficial to track native suspects.